Anyone can have a fall, but unfortunately as we grow older falls are more likely to happen. 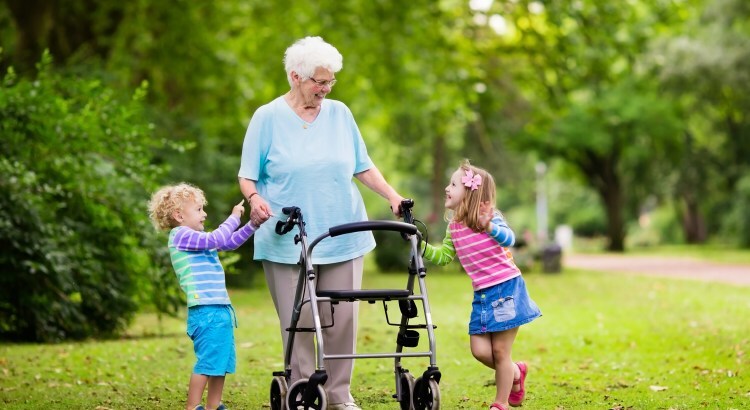 Generally older people are more vulnerable and likely to fall. Around 1 in 3 adults over 65 who live at home will have at least one fall a year, and about half of these will have more frequent falls. Most elderly people tend to fall in and around the home, often in the kitchen, on the stairs or bathroom. A fall can have a devastating impact on a person – serious injuries, loss of mobility, reduced confidence, independence and the ability to manage daily activites. The good news is that there are a number of things you can do to help prevent falls and minimise your injuries if you do fall. Knowing your risk factors and taking a few precautions is a good start. The Charity Age UK has more tips and advice about how to make life easier around the home. 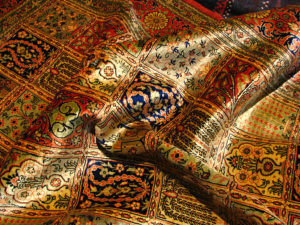 Loose carpet with frayed edges and rugs not correctly fastened down. If you look around at every room you will be surprised how many you will find. Double sided carpet tape is a great way to correct the problem. Remove clutter. Check each room and make sure that there is nothing loose lying on tables and chairs, such as piles of newsapapers or magazines. Make sure that you have plenty of space to move about from room to room, and potentially nothing you can bang in to or trip over. Extremely loose clothing can put you at risk, as it can easily get caught on doors, windows or furniture, potentially causing a fall. 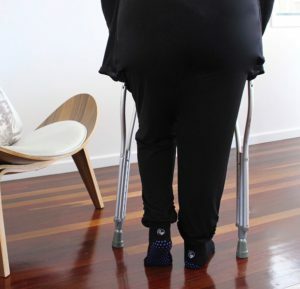 Also you can easily trip wearing long trousers or pants which can get caught up with your mobility aids, such as a walking stick or frame. In the house make sure you wear either slippers that are fitting correctly and have adequate heel support, or a shoe. Ideally they should have a good fastener or velcro support and sufficient grip. Avoid wearing socks in the house, which is what many people do as they prevent a falls risk, particularly on wooden, laminate or tiled surfaces. If you really want to feel more comfortable in your home wear slipper socks which have grips on the soles. It is important to always ensure your living space is well lit. Many people avoid having lights on as they feel they don’t need them. or are trying to keep the costs down with their electricity. Sometimes a person doesn’t always remember to turn on the lights. Removing the need to turn on the lights is a great way to make sure rooms, stairs, and hallways are always bright enough. A wireless motion sensor light makes it easy and quick to automatically light up dimly lit areas like stairs, long hallways, or bathrooms. They could also be used as a night light on a bedside table. it will give out an area of bright and warm illumination for security and comfort.The sensor light automatically turns off after 20 seconds if no motion is detected. 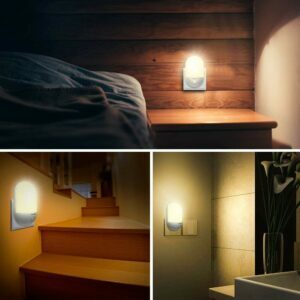 An LED night light is great to use in the bedroom overnight. The light will automatically switch on at dusk and switches off at dawn and is very economical to run. If you need to get up overnight, perhaps for the toilet, then there is no need trying to fumble around for a light switch, and tripping or falling over. A simple hand rail or grab rail is perfect in so many areas of the house, whether it be at the door entrance to the property, or an additional rail on the stairs. The bathroom is a common place for people slipping and falling getting in and out of the bath or shower. In addition, getting safely on and off the toilet can and is a struggle for a lot of people. It is also a good idea to leave the toilet or bathroom door open to make it easier to get in or out, particularly if you are using a mobility aid. 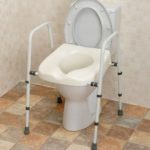 A toilet seat raiser or surround is worth investing in, with or without an additional hand rail support, attached to the wall. Many people struggle on without these simple affordable aids that all help prevent falls from happening. A common place for falls to happen is where there are slippery wet surfaces, such as the bathroom, kitchen and porches. All can be extremely dangerous, non more so than the bathroom. 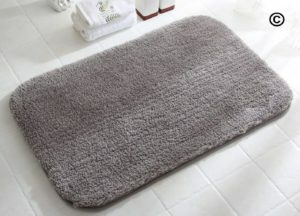 Anti-slip bath and shower mats are a necessary bathroom aid for the elderly, and people with mobility issues. 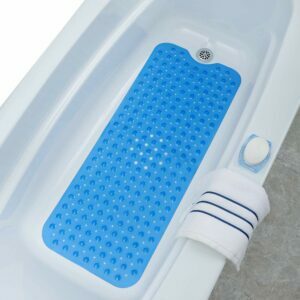 They reduce the risk of slips and falls by providing a sturdy grip surface in the bath and shower. 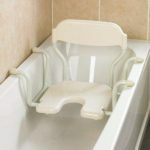 Shower seats and bath chairs are also useful by providing a safe and stable place for you to sit on when bathing. Many people rush around too quickly, particularly when transferring on and off furniture such as a chair. When you stand up from a chair make sure you use the armrests support to help to stand or to sit correctly. Once you are stood give yourselves at least 5 seconds before moving. 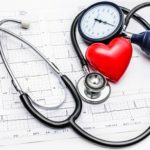 Orthostatic hypotension or Postural Hypotension as it is widely known, is a common problem for many people and occurs in 30-50 % of elderly people. Many elderly people have known risk factors which puts them at a greater chance of falling. One of the most useful and things to have in your is a good blood pressure (BP) monitor. BP measurements are an incredibly useful tool when it comes to assessing an older person’s health and well-being. Whilst medications are a necessary part of many people’s lives, they can also add to the risk of falls. 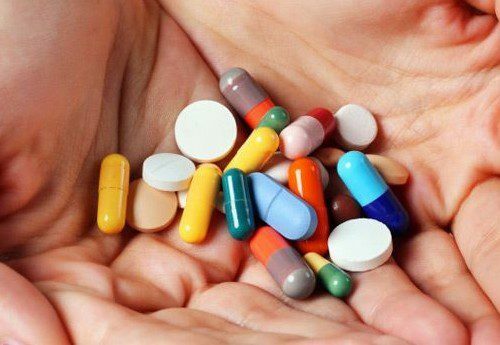 Taking four or five medications has been found to increase the risk of falling. Also, NOT taking your medication can also place you at risk. Side effects such as low blood pressure, dizziness or drowsiness can all contribute to an accident. Store your medications correctly. Use a pill box organiser to help you know when to take your tablets. A medication alarm is also a effective way of managing your medication, as side effects from not taking the correct dosage of pills, and at the right time can cause side effects which are directly linked to an increase risk of falling. As we grow older bone loss increases very gradually as part of the natural ageing process. The density of bone decreases and bones become generally less strong and more fragile. This can lead to osteoporosis and an increased risk of broken bones, especially in later life. Women are particularly susceptible because bone loss becomes more rapid for several years following the menopause. Exercise and adequate calcium in your diet will help to reduce the risk of osteoporosis. Exercise will increase bone strength but it must be weight bearing exercise. It is important to have a balanced calcium rich diet. Dairy products are the best source of calcium but supplements are also available in the form of tablets. Many people as they become older sometimes struggle to control their bladder as well as they wish they could. Sometimes these are known as incontinence problems. An increased risk of falling has been linked with incontinence. Falls are generally thought to result from loss of balance when rushing to the toilet or an increased risk of slipping on urine. Get regular checks with your doctor, nurse or incontinence team to discuss the problem. Disposable incontinence pads are useful to have. Follow a healthy drinking habit (lots of water and avoid too much coffee, tea, alcohol or fizzy drinks). Plenty of products and devices are available to assist people to get on with their lives. Do not cut down the amount you drink (even if you are less active), as this makes the urine even more concentrated making bladder problems worse. Your vision plays an important part in your sense of balance and movement. Reduced vision can lead to falls, especially if you go from light to dark, or the other way round. Stop and wait a few seconds to give your eyes time to adjust before moving. Even if you have been wearing glasses for many years, if you wear bifocals or varifocals, it is important to remember that the lower section of the glasses will blur steps and obstacles in your way. The eyes are closely linked to the ears and they depend on each other for good balance and clear vision. Sometimes an infection or build-up of wax can cause problems such as dizziness and loss of balance. If you suspect you have hearing loss, or ringing in your eyes contact your doctor for tests, and possible referral to an audiologist for a hearing test. Get regular check ups at the optician (ideally every two years), to establish if there is any deterioration in your eyesight, and if glasses are needed. 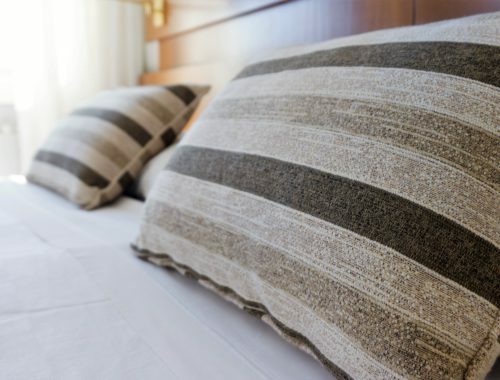 Make sure you wear your glasses, particularly when moving around (such as getting out of the bed during the night to use the toilet). Make sure your glasses are correctly fitted and are clean. Try to look a little way ahead when walking and not straight down to avoid tripping or falling. When we look at ways to prevent falls in the elderly, one of the key areas is a person’s decline in physical fitness and health. 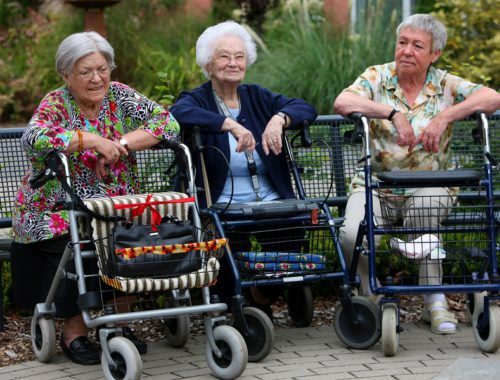 The physical effects of ageing are greatly increased by sedentary lifestyles. 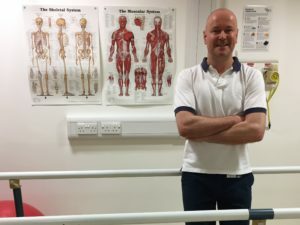 People develop bad habits over time which leads to poor posture, muscle weakness, poor or altered gait pattern, which in turn produces reduced balance and co-ordination, greatly increasing the risk of a fall. Everyday activities such as getting out of bed, rising from a chair and walking up and down steps become increasingly difficult. Regular chair exercises can help you manage this easier. Physical activity and exercise can help you stay healthy, energetic and independent for as long as possible, giving us more confidence to enjoy our lives as we get older. Exercise is one of the most important things we can do to reduce our risk of falling. Take regular exercise. It has been shown to reduce the incidence of falls significantly. Join an exercise class for older people. They can target specific balance, strength and co-ordination problems. They also provide a structure and good social support. Chronic diseases can have a profound impact on the health and quality of life of the older person. Weakness in our joints and muscles, balance disorders, weak grip strength and cognitive impairment are all a result of chronic health conditions such as Alzheimers, Parkinson’s disease and Arthritis. 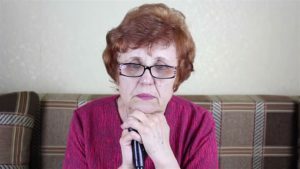 Peripheral Neuropathy is common in older people causing reduced sensation and numbness, which makes it very difficult to sense hazards around the home. 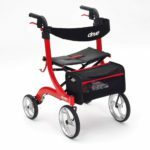 There are many different types of suitable mobility aids that can be used in the home. 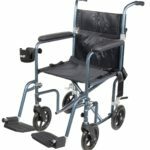 They include moving, transferring and handling aids for less mobile people to walking frames and rollators, sticks and crutches. What is important is that not only the correct aid is used, but that it is in good working order and set at the correct height for the person. Around the home there are countless ways to make navigating from room to room easier. From additional stair rails to half steps, grab rails, swivel seats and walking aids. Showering and bathing can be made easier by using perching stools, shower seats and adaptive equipment to assist washing and bathing. Choosing the correct aid can assist you in making daily activities simpler and more enjoyable, increasing a person’s independence and quality of life. If using a walking stick or frame ensure you check that the ferrule (the rubber tip at the bottom), has tread on it and has not worn smooth. Always make sure that the walking stick or frame is set at the correct height for use. For an older person foot care becomes even more important. Growing older age takes its toll – skin thins, joints become to stiffen with reduced range of movement, and your feet become more vulnerable to the cold. Never ignore minor foot problems as symptoms such as pain, soreness or redness as this may lead to more serious problems, and reduced mobility and balance. Bacterial skin infections such as Cellulitis are common amongst the elderly. Inappropriate footwear, such as narrow heels, high heels, open backed and slip-on shoes can affect your balance. Ideally footwear should be lightweight and supportive, with fastenings adequate to hold the foot well back in the shoe. Avoid worn, loose or backless slippers or shoes, and shoes with high heels. Velcro strap support may be easier to use when feet are swollen. Good foot care is essential to healthy, pain free feet and should be part of your daily routine. Wear cushioned insoles if your soles and heels are sore when you walk. Ensure you have a good grip on your footwear – Non slip soles are essential. 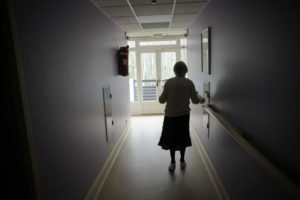 Hopefully the above information gives you a very brief guide on ways to prevent falls in the elderly. Take positive steps now to stay mobile and independent. Don’t put off considering your risk of falling until you have had an injury or scare. If you need any further help or advice please contact me at elderlyfallsprevention.com and I will be happy to help. I enjoyed reading this information. I assist disabled folks and I think your tips are very much needed both for the elderly as well as others with a variety of health issues who are fall risks. Also, your tips for things to do around the home, in general, are good for all of us to follow. I wouldn’t mind adding the post to my site! Thanks Cynthia for your comments. Your right there are often lots of different related health issues when trying to prevent falls in the elderly. Thanks for sharing such an informative article! My partner is a paramedic, and he often attends jobs of elderly people who have fallen, especially on narrow, steep stairs he says. The consequences can often be much more serious in elderly people that have fallen so taking precautions is very a important thing. You’ve provided a very elaborate article full of useful tips here! Thanks for the feedback Ann, I’m glad that you found the article useful. This is an excellent and comprehensive guide to managing falls in the elderly. You have covered every possible scenario. You have listed contributors to falls which I would never have thought of such as medication. I am 70 now and so far very steady on my feet and I am not taking any medication, but I nursed my mother in her final years and many of the things you mentioned were her experience. Exercise has to be one of the best ways to prevent falls. I’m so pleased that you found the information useful. Your right regular exercise no matter what age has to be one of the best ways to prevent falls. Please check out my page on exercise programs for the elderly with lots of useful tips and advice. Wow, really detailed information of ways to prevent fall in elderly population. I have couple grandparents that are in their 70’s. My grandfather falls all the time., he could definitly benefit from this article. I just bookmarked your website, I am going to read the article few more time to absorb all the information. Thank you so much for the information. It was very helpful and useful. I’m really glad you liked the article. 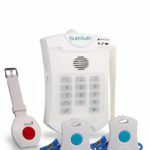 Please check out my website for further information on exercise programs, mobility equipment and panic alarms for the elderly. Thanks for the feedback, I’m glad you found it helpful.